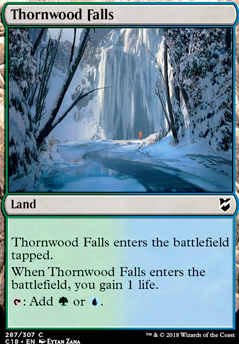 Since you are in 3-color domain, you might consider running 4 Seaside Citadel and 2 Evolving Wilds instead of 2 Blossoming Sands , 2 Tranquil Cove and 2 Thornwood Falls . Also, since 95 of your cards are instant speed, consider Alchemist's Refuge and Ghost Town over Simic Growth Chamber and Thornwood Falls ? I know chamber grants two landfalls, but comes in tapped and can cost you a card (and tempo) in the first couple turns if not careful. Thornwood just comes in tapped (slow) and only grants a measly lifepoint. -- Refuge lets you play your deck at instant speed, and GTown -well, do I really have to explain? -- I'm a budget player myself, the upgrade would only cost a few bucks. Hey Man, I love making decks and I'd be glad to help out! Here are some suggestions: First, try to see if you can get more unblockable creatures with relevant creature types. Usually these are rogues so that you can use Notorious Throng and faeries because many of them are rogues and you can use cards like Spellstutter Sprite which also counters spells. Some elves along with Eladamri, Lord of Leaves works too, though I know that's out of your budget. Some creatures I see you don't have are Nightveil Sprite, Triton Shorestalker, and Jhessian Infiltrator. Also shoutout to Trygon Predator which removes stuff as well and Faerie Conclave which is a land that can become a relevant creature, which is very handy in case you run into a lot of boardwipes. Beastmaster Ascension is another win condition you can throw in. Coastal Piracy and Bident of Thassa are redundant effects for edric. Beast Whisperer is also a good draw engine. 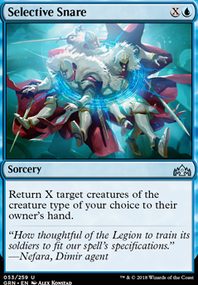 You also might want to change some of your removal spells as well. Counters like Mana Leak aren't so good in commander. 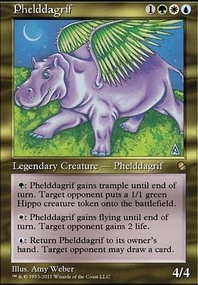 Besides other counter spells, you can also use Rapid Hybridization, Beast Within and Reality Shift and the downsides don't mean much when all your creatures have flying! I also found some cheap dual lands to consider: Yavimaya Coast, Temple of Mystery, Thornwood Falls, Alchemist's Refuge. 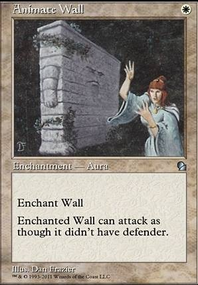 Finally, In terms of cuts, in addition to slowly improving your unblockable creatures when possible, I would remove some cards that aren't so in tune with your game plan. 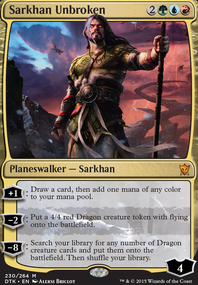 How often are Mind Control and Allosaurus Rider going to be useful in your deck? Sorry for the wall of text. Hope this all helps! I would recommend you run somewhere between 36 and 40 lands (this is including basic lands). Hi Jackh! If building a standard merfolk deck is what you're looking for, then have a look at my list. 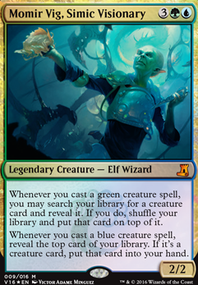 However, if what you're looking for is a budget merfolk deck that can be built on the cheap, then I can suggest some very fun cards. With some more that cost a few dollars each if you're looking to upgrade. I'm sure I'm missing a few obvious choices, but hopefully you'll find a use for some of these cards. In my experience, some cards you may want to drop to make room are Herald of Secret Streams, River Sneak ,and vineshaper mystic . 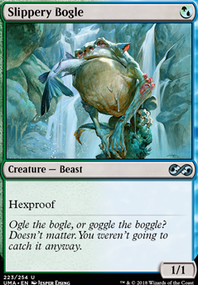 Some cards that aren't related to Merfolk per say, but would be beneficial to your deck are: Giant Growth, Mana Leak, Unclaimed Territory , Botanical Sanctum(much cheaper out of standard), Hinterland Harbor, Lumbering Falls, Simic Growth Chamber, Temple of Mystery, Thornwood Falls, and Yavimaya Coast. Sorry if all of this is a lot of information or if I've listed a lot of cards out of your price range, but there are defiantly some cheap upgrades to be made. **edit I've noticed that tappedout has some card prices listed incorrectly, so check elsewhere first if you're thinking a card is too expensive.